First day. The world is born today. 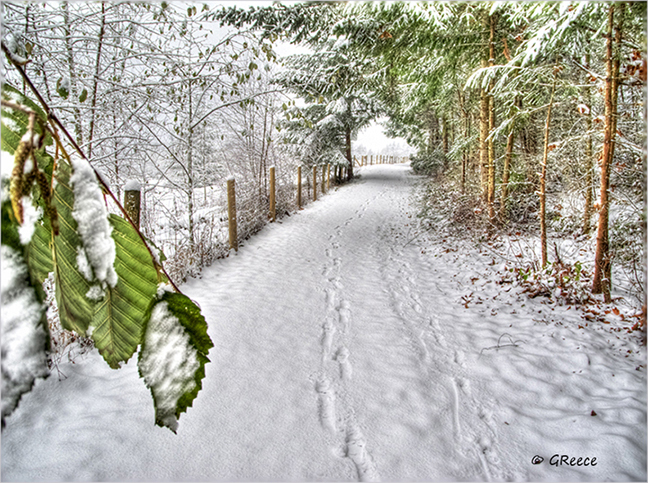 Out of stillness translucent green reaching down to smile at disappearing footsteps in the coolness of the after-snow. Trees and fenceposts moving impeterbably by as the far reaches of the path approach in pristine glory. New snow sounding small comfy settling noises. So still at center. Vast featureless space for the world to appear in. The world is born today. No self, no path, no trees, no emerald glistenings. And at center: self, path, trees, and emerald glistenings.